Focal treatments are laser, cryotherapy and chemotherapy delivered directly into the eye or to tissues surrounding it. These procedures are done in the operating room during an Examination Under Anaesthetic (EUA). Repeated treatments are usually needed to destroy tumours. Brachytherapy (radioactive plaque) is another focal therapy discussed separately in the Radiation Therapy section. These treatments may be used separately or in combination with other therapies, such as systemic chemotherapy. 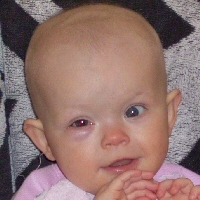 As primary treatment, they are effective only for small tumours that do not threaten vision. Systematic chemotherapy may be given to shrink tumours so they can be “finished off” with focal therapies. Chemotherapy alone rarely cures intraocular tumours. Good outcomes are achieved by following chemotherapy with laser and/or cryotherapy, repeated at monthly intervals until the tumour is a flat scar that remains inactive. Both laser and cryotherapy are important to destroy recurrent growth of tumours when they are still small. Focused beams of light are used to kill small tumours, both by destroying their blood supply and directly killing the tumour cells. Nitrous oxide is used to cool a probe outside the eye, at the site of the tumour. This freezing treatment is best for small tumours in the periphery of the retina. Anti-cancer drugs can be injected into the tissues or space surrounding the eye. Chemotherapy can be injected directly into the fluid middle of the eye to treat seeds, only when the main tumour has been controlled with other therapies. This May 2017 article from our blog explores four of the most common eye-saving treatments, including laser and cryotherapy, with photographs of tumour before, during and after the treatments.